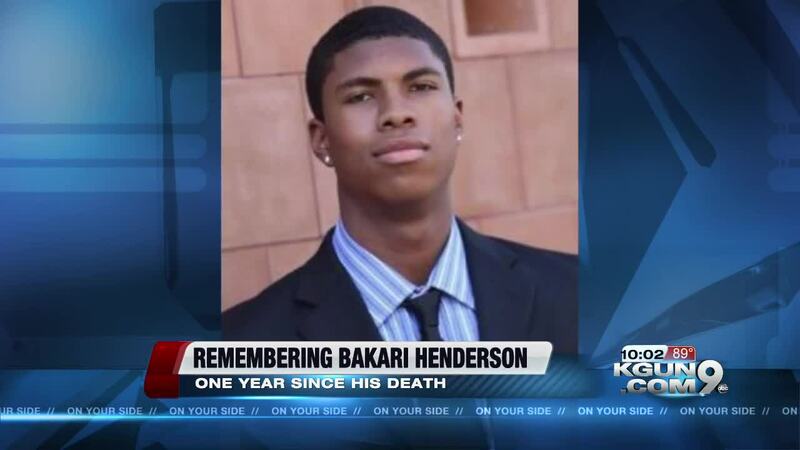 Saturday marks the one year anniversary of the death of University of Arizona graduate, Bakari Henderson. Henderson was beaten to death on July 7, 2017 while on vacation on a Greek island. His family says he was working on a photo shoot for a clothing line launch. 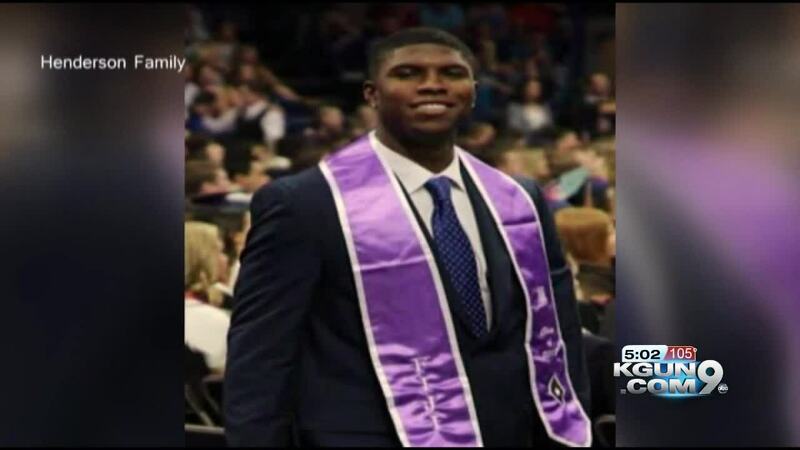 The 22-year-old graduated from the University of Arizona in May 2017 with a Bachelor of Science in Business Administration and an undergraduate certificate in Sports Management. On the anniversary of his death, Phil and Jill Henderson are remembering their son while surrounded by family in the Washington, D.C. area. They're from Austin, Texas and flew to the east coast on the same day their son flew to Greece this time last year. Jill Henderson says that's when the anniversary started to feel real. The Hendersons are keeping their son's passions alive by creating the Bakari Foundation. That's in honor of Bakari and his passion for travel. What we'll do is select families who have also lost a loved one tragically, and then provide the with a travel experience that will also have some type of healing component to it. Henderson's parents are also working to launch their son's clothing line, Bakari Luxury Sportswear. All proceeds will go to the Bakari Foundation. "he left us a really good blueprint, he had about 3 or 4 notebooks full of designs and price points, fabric types, colors, all kinds of things," Jill Henderson said. "That was really, really amazing we were so blessed to find that." Nine people are facing charges in Henderson's death. The motive is still unclear but the Hendersons believe it was anti-American and possibly anti-African American. A permanent memorial for two graduates of the class of 2017 lie in front of McClleland Hall. Henderson and Christiana Duarte died within months of each other. The Hendersons say they continue to feel the outpouring of support from the Tucson community and the University of Arizona.